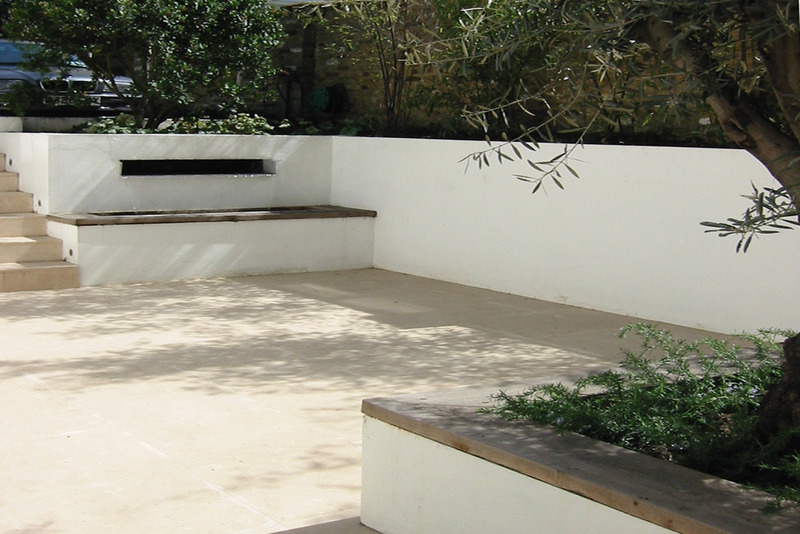 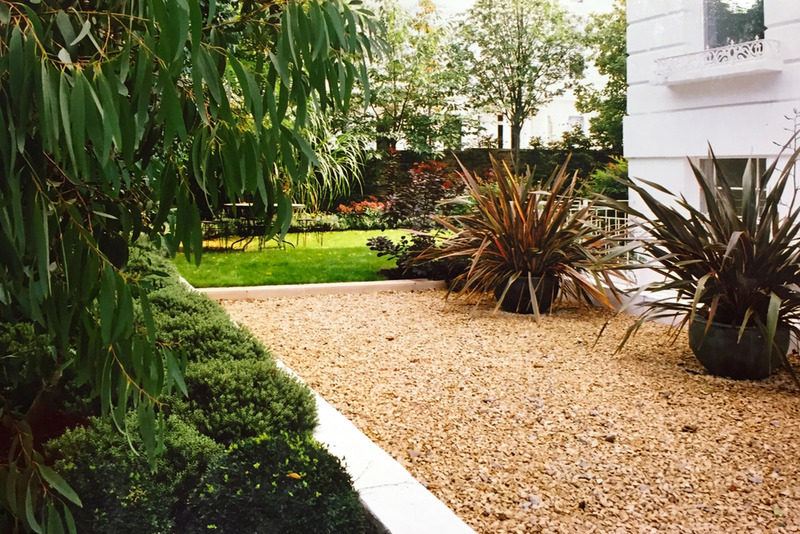 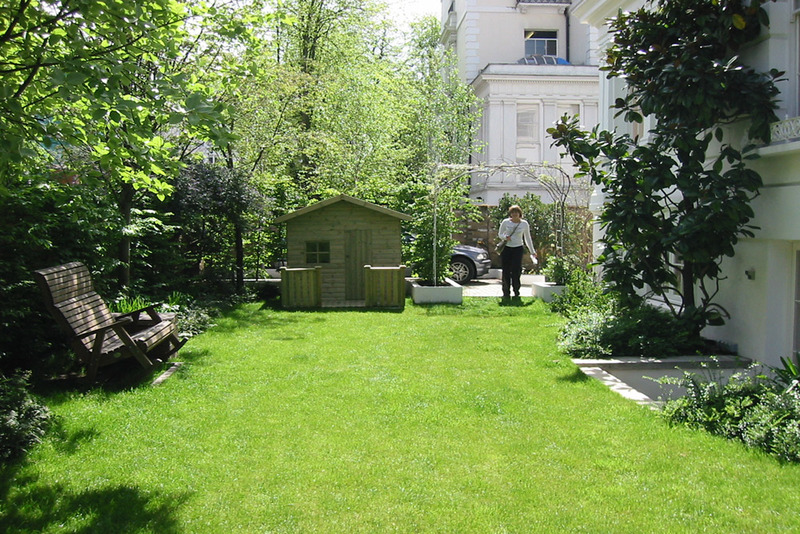 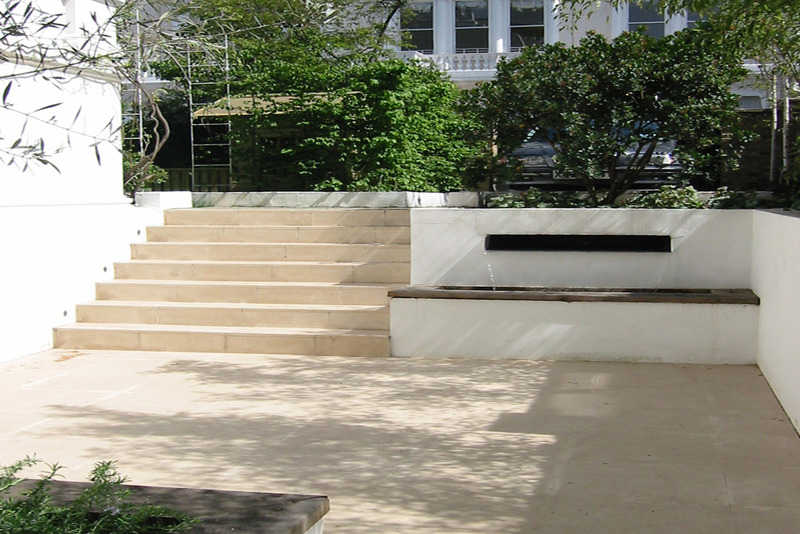 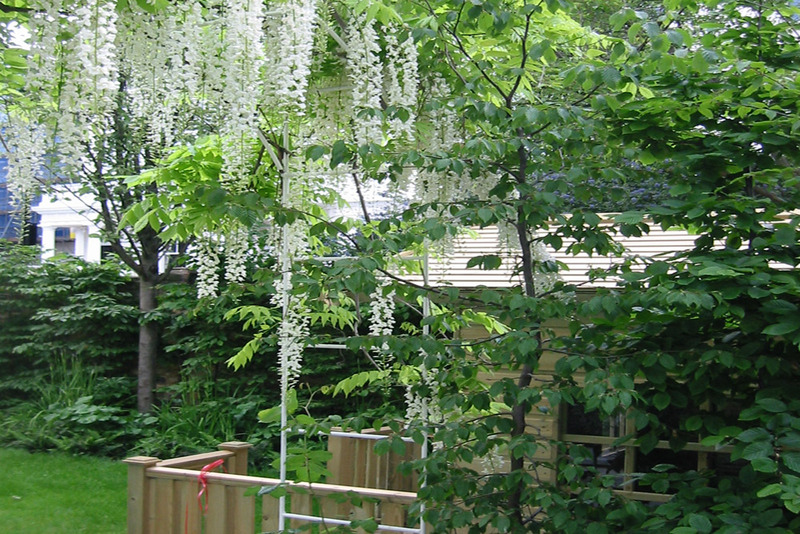 The aim was to give a sense of privacy to this large city garden with front, side and back areas. 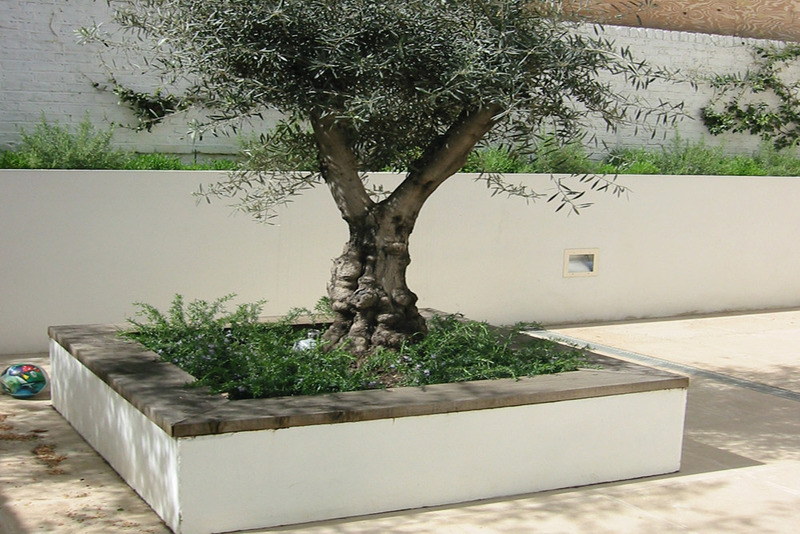 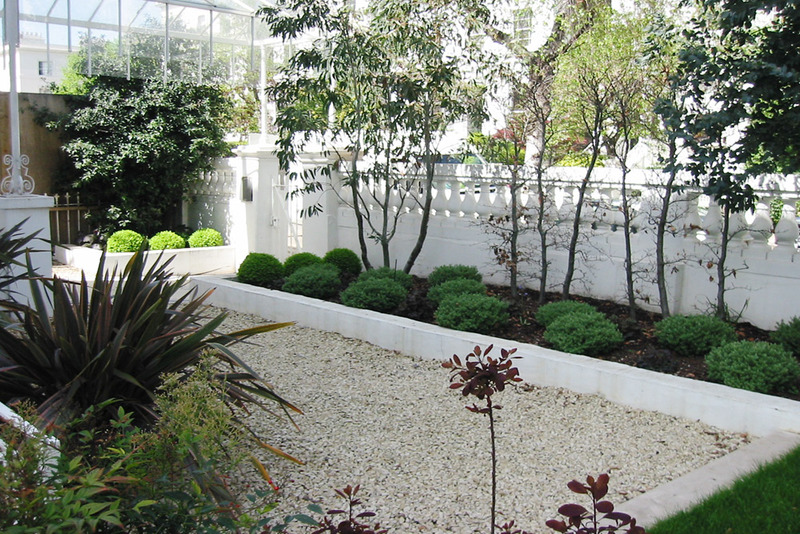 Both front and back have a formal layout with plants contained within low rendered walls. 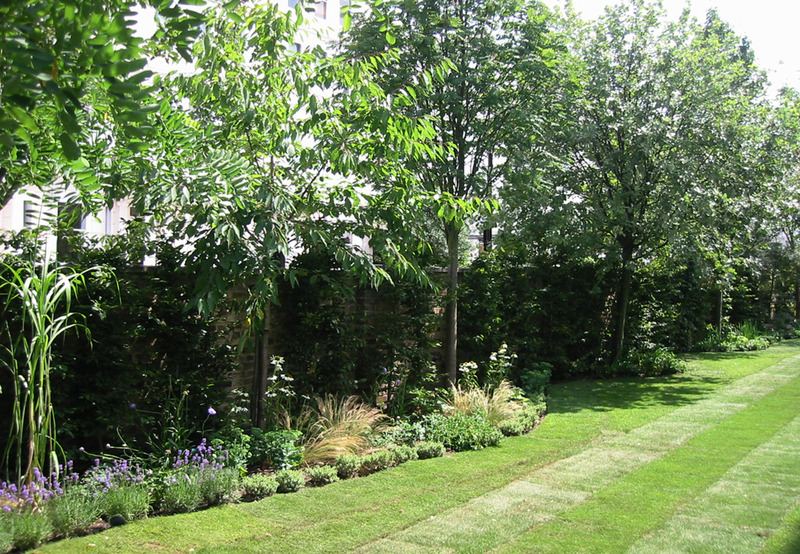 The side garden then links these two areas in an informal way with wavy borders and a large lawn area. 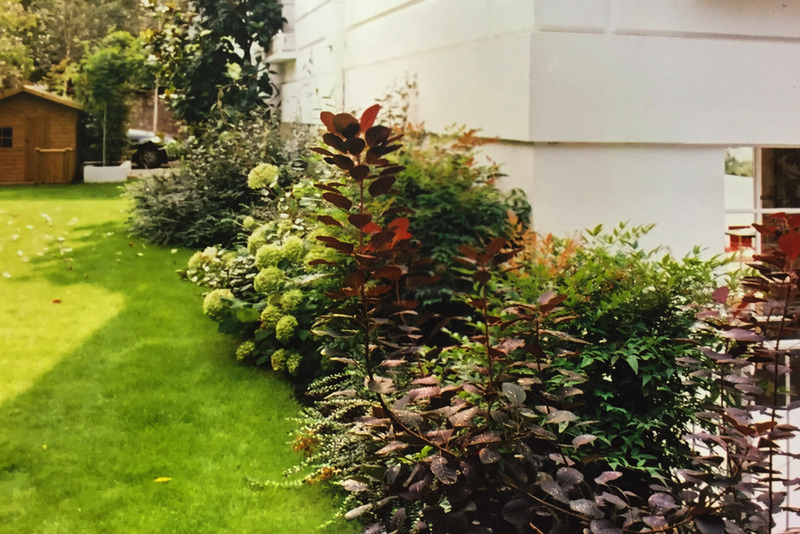 Planting has a natural look and tall clipped hedges all along the surroundings walls create privacy.